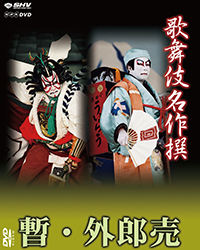 Kabuki Theater DVD Series- Marty Gross Film Productions Inc.
We are pleased to present the most comprehensive collection of Kabuki Plays, dance pieces and comic works on DVD, all featuring the greatest of actors of today and the recent past. 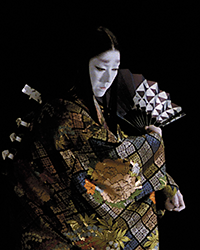 Tamasaburo Bando, Kabuki's greatest performer of female roles, appearing in classic kabuki dance stories. Performed at Tokyo's Kabuki-Za Theatre, Tamasaburo is seen in this series at the height of his powers as a dancer. This series of six DVDs features an excellent, comprehensive English language commentary explaining the history and details of the plays and of the performance. Individual episodes are also available. In May 2010, after over 80 years, the Kabuki-za in Tokyo was demolished to make way for a new theater due to open in the Spring of 2013. 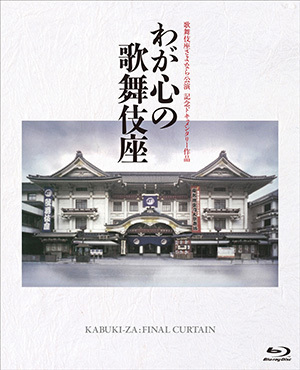 This film, made as the Kabuki-za was preparing to close, follows many of the greatest actors of Kabuki as they reminisce about their lives and past performances on that legendary stage. An invaluable document on the history of Kabuki, this film features many fascinating backstage sequences as well as interviews and short excerpts of performances. An outstanding series of Kabuki Plays on fifty DVDs first broadcast on NHK, Japan's Public Broadcasting Company. All filmed at Tokyo's famed Kabuki-za Theatre. Since the earliest days of television in Japan, NHK has recorded and broadcast all major Kabuki performances. Now many of these important historical and contemporary video recordings are available on DVD. 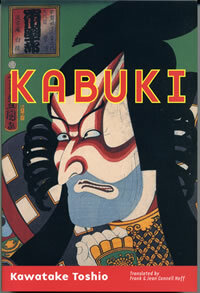 Many of the most widely admired Kabuki stars are included in this 50 Volume selection of Kabuki masterworks. Individual episodes are also available. The late Donald Richie characterized this important work by saying that "Toshio Kawatake (Professor Emeritus, Waseda University) is able to see connections in the history and present practice of Kabuki, can join its apparently disparate techniques, and can place this drama in the context of world theatre."